Hi and welcome to my little space in cyber world . 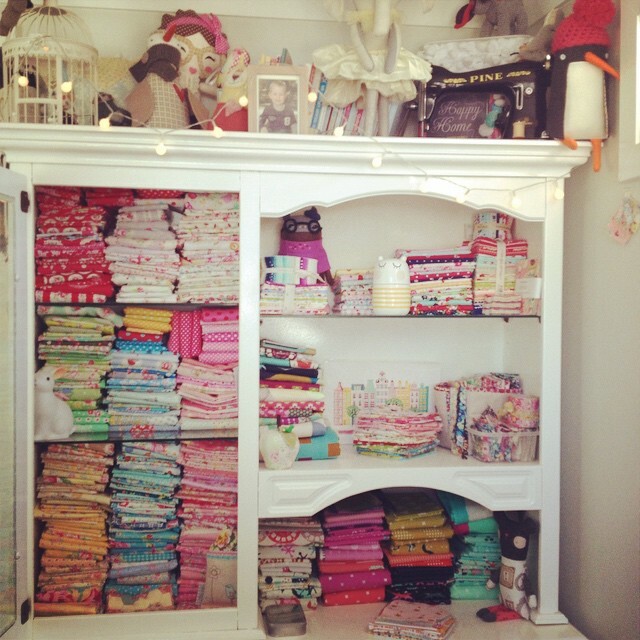 My name is Isabel and I love to create blankets, quilts and cushions with all the pretty fabrics out there. My stash is getting out of control.. but don’t tell my husband that!!! And with all these designers making more and more beautiful fabric lines its hard to control myself! I have been married to my husband G. since 2003 and we have one son S.. He finally came into our world in 2009, after 2 IUI’s and 7 x IVF. Love them both dearly and we also have a cute little black dog, she is definitely part of the family and hangs out with us as much as she can. G is a shift worker. He drives locomotives and because of his strange roster – which they change all the time as well – I work part time. At least I have my foot still in the “work force” door, have some adult conversation and keep fit. I walk about 10 km for my work per shift so its perfect to clear the mind. And the other days I can spend here at home.. doing the normal house chores and do some extra canteen duties at S his school. My favourite fabrics are mainly Japanese fabric designers, like Atsuko Matsuyama. Love Lecien fabrics, Cotton and Steel and I must say.. I have a pretty big stash of Art Gallery Fabrics as well..